META-Health Master Practitioner - META-Health Academy. META-Health Master Practitioner - META-Health Academy. Do you know you could take your META-Health knowledge and understanding deeper? Are you looking to improve your META-Health Analysis skills to get to core issues more elegantly, confidently and quickly? Would you like a deeper understanding of constellations and complex health issues and how to work with them? Would you benefit from learning how to do non-linear enquiry and addressing the interconnected nature of health issues? Are you keen to go beyond META-Health Analysis and work on solutions? Would you like to support and motivate clients to achieve greater wellness? Are you eager to develop a complete skills-set and gain tools in META-Therapy Planning, Transformational Therapy and Coaching? Do you want to set up a successful META-Health coaching practice? Join us for a unique and transformational Master Practitioner course with two of the world's leading META-Health Senior Master Trainers. Click the book now button below and choose your preferred option from the drop-down menu to pay securely with PayPal. As a Complementary Therapist, I was always looking for a holistic approach to health which was more grounded and scientific - something I could easily explain to my clients. I have found that with the META-Health Academy. 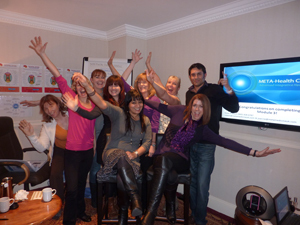 Beginning the Health Master Practitioner Training just made so much sense; it was the missing link for me. This is the analytical & Transformative toolkit and I was looking for, which supercedes the therapies that I already use. I could address the root cause and help my clients to remove their symptoms completely, rather than just helping them to feel better for a short while. This amazing system has helped me to understand my own health issues and address them with a purely natural, organic and conscious approach. I am now much stronger, fitter, and I have more energy than ever! I have developed a passion for META-Health and have a strong desire to share this information. It has changed my life, and now I aim to do the same for others. I’m looking forward to my new career as a META-Health Practitioner and Trainer with a joy and enthusiasm that even surprises me! Robert Waghmare and Joanne Ross IMMA Advisory Board Members and META-Health Master Trainers. They have a combined 20 years' experience training META-Health and are leading developers of META-Health methods. They are major contributors to the International META-Health Practitioner and Master Practitioner Standards and syllabus. Their innovations include META-Kinetics, the Emotional Pattern Elicitation Process, bio-psycho-social-spiritual Thresholds Model and the META-Meanings. Robert's personal and professional interest in health, spirituality and personal development started more than 15 years ago. His background in engineering, information systems research, consultancy and orgsniational change has contributed towards developing a deep, practical and integrated understanding of energy psychology (EFT), NLP and META-Health. This has culminated in the application of Cybernetic and Systemic research methods to META-Health and innovations in mind-body healing methods. Robert has trained in and synthesises many advanced systems including NLP, EFT, Matrix Energetics, Spiral Dynamics, the Human Design System, Access Consciousness and DBM (Developmental Behavioural Modelling). Joanne's background in teaching and coaching ensures that all learners get the most out of our training experience with a variety of learning styles and activities. 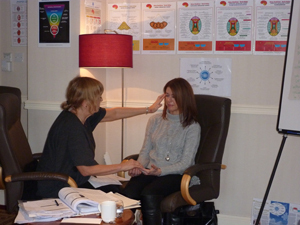 Joanne integrates EFT, NLP, Coaching, META-Kinetics and other advanced systems within her work as a coach and trainer. She is also an experienced writer, having published over 50 articles on META-Health and related personal development subjects. Robert and Joanne have been working with META-Health since 2005 and teaching META-Health since 2007. Their experience, combined with their deep understanding and integrative approach to health and personal development, ensures that participants gain the maximum personal and professional benefits from their courses. The non-profit International META-Medicine Association (IMMA) controls the standards and quality of META-Health Practitioner and Master Practitioner training and education and is responsible for the accreditation and certification process of all META-Health Practitioners, Master Practitioners, META-Doctors and META-Health Trainers worldwide. The META-Health Master Practitioner Training is the most advanced approach in Integrative Health Coaching available in the world today. As a META-Health Master Practitioner you will learn a how to apply a unique synthesis of mind-body enquiry, emotional healing and personal development which integrates and transcends existing coaching and therapy models. 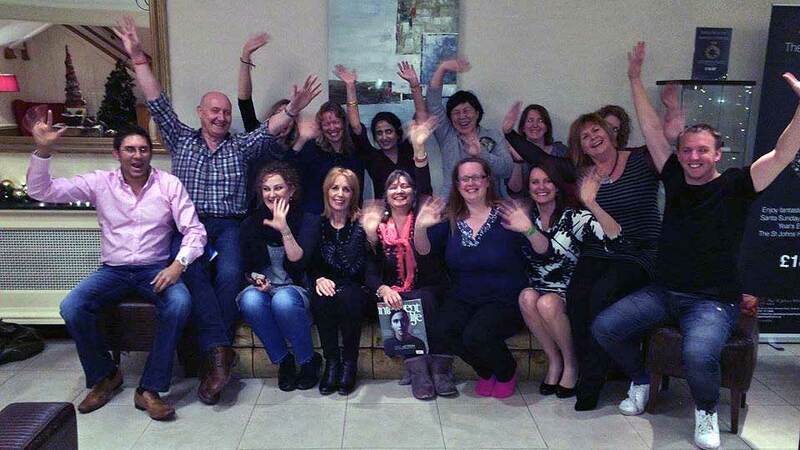 Becoming a licensed META-Health Master Practitioner will give you an unrivalled awareness and practical ability to work with the mind-body-social and behavioural nature of your clients' health, developmental and achievement issues and goals. Full completion of this programme will qualify and enable you to understand and use the mind-body-social connection and develop a fully integrative approach to health & personal development and achievement. The course combines theory, discussion, demonstrations of META-Health enquiry and therapy, practice and reflection in order to maximise your learning and development. It is a highly experiential course in which you'll have opportunities to uncover and address your own blocks to wellness and success as well as gaining mentored practice in working with others. Non-Linear Enquiry and the Emotional Stress Pattern Elicitation Process - Learn our advanced process that works with any presenting problem. If a client has no phsiological symptoms, you can use this process to get into the deeper meanings behind any life stressor. The Emotional Stress Pattern Elicitation Process enables you to quickly and accurately identify and model the causal belief patterns, emotions and behaviours behind a problem, and use this information to go straight into therapy. Wellness Coaching - Shift the focus from illness to health. What do your clients want to achieve and how can they get there? How can you co-create a compelling future without the health issues? How can you ensure the motivation to stay on track? You will learn how to integrate META-Health enquiry with Wellness Coaching skills, tools and techniques. Understand how to get clients motivated and focused on positive future outcomes. You can book online using Paypal link below. Alternatively, if you prefer to pay by cheque or direct transfer, please call 0845 838 6787 or email info@metahealthacademy.com for details. We are also able to offer instalment options - please contact Debbie at the META-Health Academy: info@metahealthacademy.com or call us on 0845 838 6787 .